Miracles combined with music. 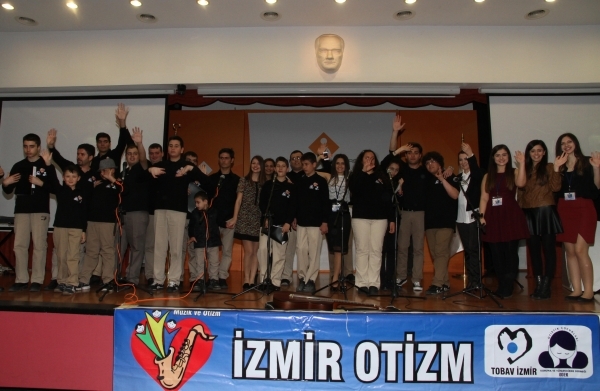 20 young members of Society for the Protection and Guidance of Autistic Children (ODER) gave a concert as part of the World Autism Awareness Day activities organized by Izmir University of Economics (IUE) Psychology Club Social Responsibility Unit. 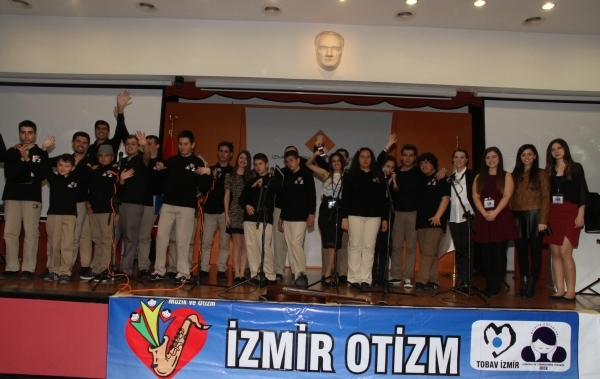 “Izmir Autism Orchestra and Chorus” performed Ataturk’s favorite songs, poplar folk songs and pop music and mesmerized the audience. As the audience got all sentimental with “Bana Bir Masal Anlat Baba” song, they sang along the song “Vardar Ovası”. Ergin Güngör, Chairman of ODER, presented a certificate of appreciation to IUE Rector Prof. Dr. Oğuz Esen.